Jason Bateman, Mike Judge and Mila Kunis at the Comic-Con 2009. Mike Judge and Dustin Milligan at the premiere of "Extract." 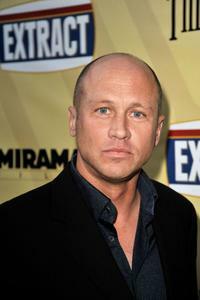 Mike Judge at the premiere of "Extract." Mike Judge at the Comic-Con 2009. Clifton Collins Jr. and Mike Judge at the Comic-Con 2009. Mike Judge at the FOX 2002 Summer TCA Tour. 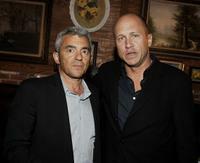 Daniel Battsek and Mike Judge at the after party of the premiere of "Extract." Jason Bateman, Mila Kunis and Mike Judge at the after party of the premiere of "Extract." 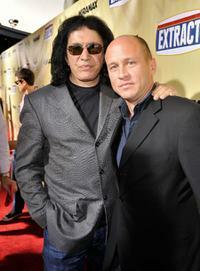 Gene Simmons and Mike Judge at the premiere of "Extract." Jason Bateman and Mike Judge at the after party of the premiere of "Extract." 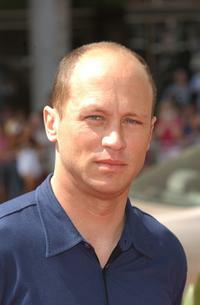 An Undated File Photo of Actor Mike Judge. Mike Judge and Seth MacFarlane at the Twentieth Century Fox Television's New Season Party. Mike Judge at the premiere of "Spy Kids 2: The Island of Lost Dreams".